I have lived here in Iredell County my entire life. I attended and graduated from Iredell County Schools. 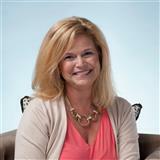 I graduated locally from the University of North Carolina Charlotte with a degree in K-6 Education, and went on to teach in the Mooresville Graded School District as well as Iredell County Schools. As teaching came to a close, my dedication became Edu-Quest, an educational toy and supply store, in which I owned and operated for 12 years. Therefore, I have an extensive amount of experience and knowledge concerning the quality of education in this area. I have been married since 1989 and have two beautiful daughters Logan and Blakeley. My husband, Billy own and operates Don Allen and Associates, a land surveying company in which I have worked "when necessary" over the past years. This opportunity has allowed me to gain a decent knowledge of surveys, plats, or maps as well as restrictions. Billy has always been very helpful by assisting my clients in land associated questions and problems from locating the property corners, making an addition or ability to install a pool. He is a huge asset to our team! We have acted as the contractors on the construction of several homes, so we have gained understanding in the building process. I also have built, and am partners in a commercial building in which I have managed the rental property. I have both knowledge in commercial property as well as new construction. I am a True Iredell County Hometown Girl! I have watched this area grow tremendously in the past (too many to mention) years. I remember when the Mooresville area was all pasture land and Lake Norman was for weekend lake homes. Now, this area is a growing urban area with many great places to live and play. Spectacular million dollar lake homes are replacing the old "weekender trailers" on the lake. So, growing up on and around the lake, I know all of the great places to visit as well as to make a home. Family is extremely important to me as it always has been. I grew up around a family owned and operated business, so I believe in working closely with family as well as closely with you and your family. 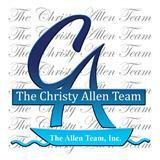 So, if you are looking to buy or sell in the Lake Norman, Huntersville, Troutman, Catawba, or Statesville area, The Christy Allen Team will give you the best service, and advice that you can find in this area! We are skilled, educated and ready to assist you in making your real estate transaction go as smoothly as possible. Remember, we are working for you, so success is our goal! If you are interested in having property shown, sold or would like to discuss the many benefits of living in the Mooresville area, I would be happy to assist you. If you are relocating from another state, I will gladly send you information concerning the wonderful state of North Carolina! Best wishes and I hope to hear from you soon.